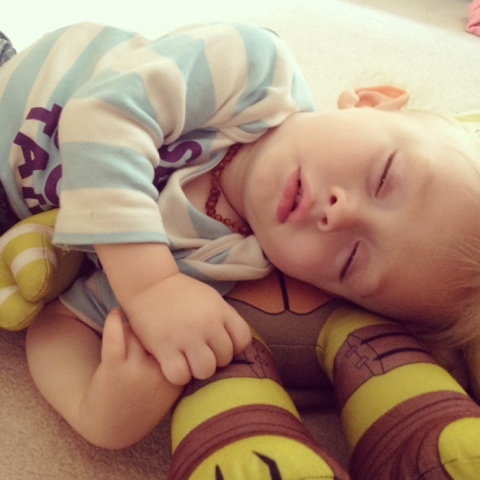 Zachary fell asleep while he was hugging Ben's Teenage Mutant Ninja Turtle and nursing earlier today. Amazingly I managed to lie him on the floor without waking while still lying on Michaelangelo. Clearly a TMNT practice pal makes the perfect pillow.